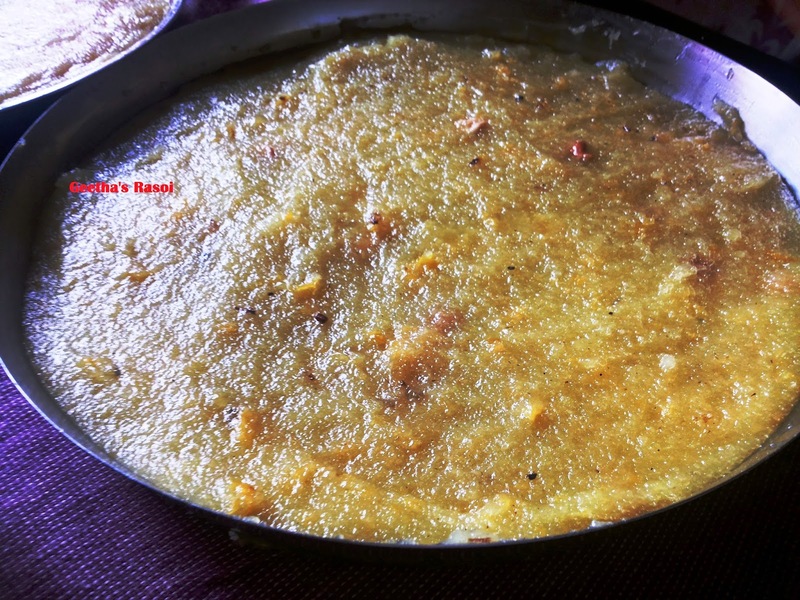 In my childhood I didn’t like sweet dishes much, but when my friend’s mom Prabhavathi Aunty used to give this as sweet on festivals and functions its aroma and taste used to tempt me very much to eat it. Slowly I started getting fond of sweets. Roast the rava(semolina) with 2 tsp of ghee till nice aroma comes. Mean while keep pineapple cooked water and 1 cup of water keep it for boiling. Add boiling water to roasted rava and mix well. Let it cook for 5 to 10 min. Then add crushed pineapple, and 1tbsp of ghee mix well after that add sugar and ghee mix well and cook till it thickens. Grease the plate with ghee pour this pineapple mix and set. Let it cool for some time and cut and serve. Or can serve as it is. 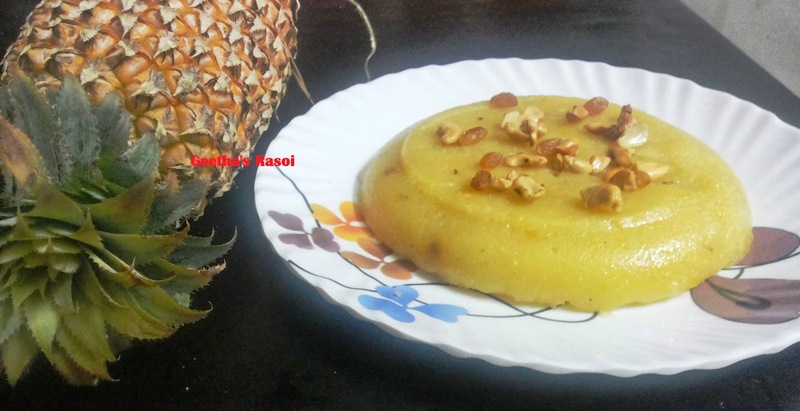 Tasty pineapple sheera /pudding ready to serve.